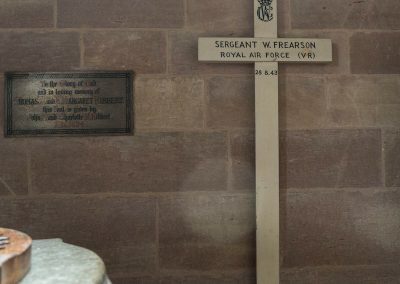 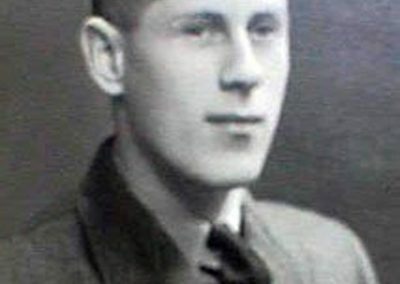 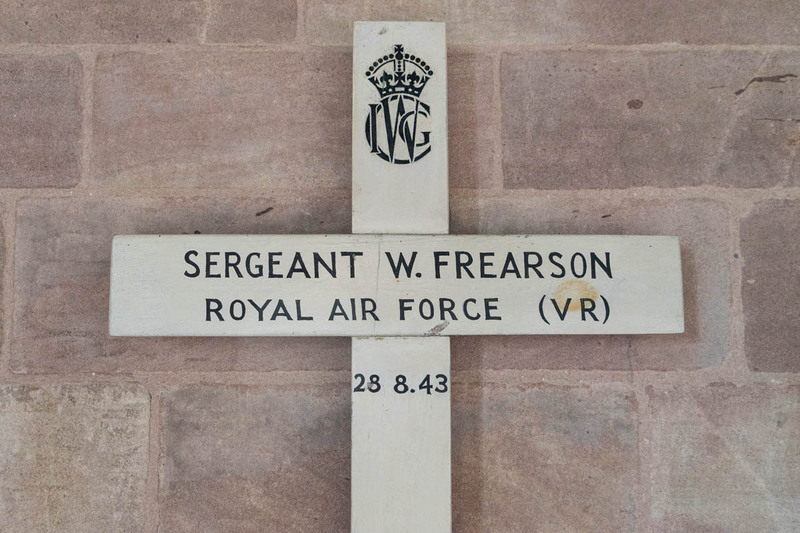 Sergeant W.FREARSON ROYAL AIR FORCE (VR) 28.8.43. 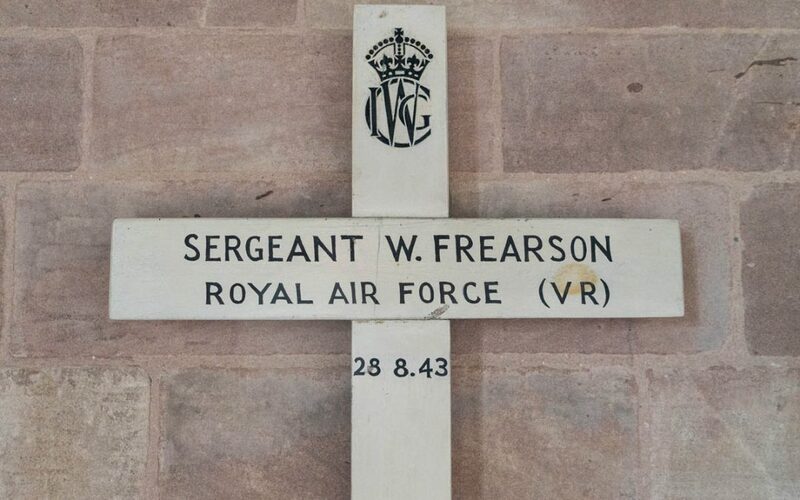 There is also a regimental hand painted badge at the top of the cross. 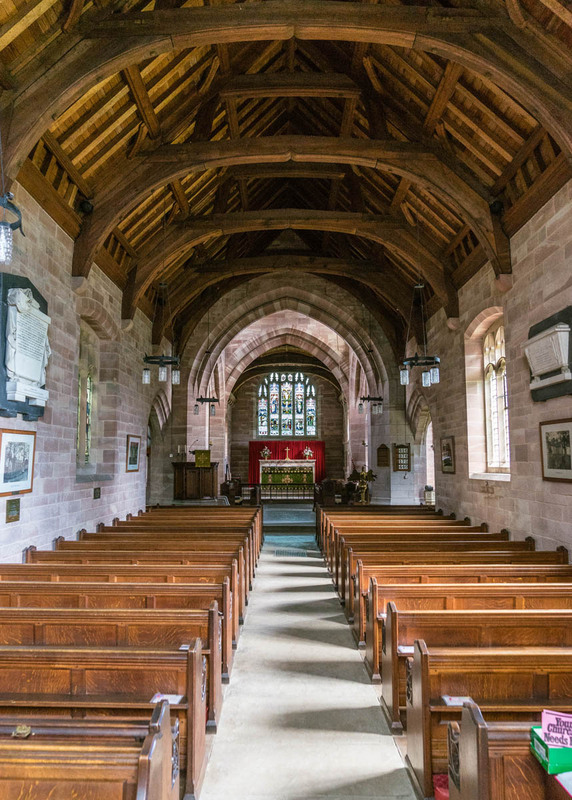 Finish (varnish, paint, oiled, unfinished etc): White glossed wood. 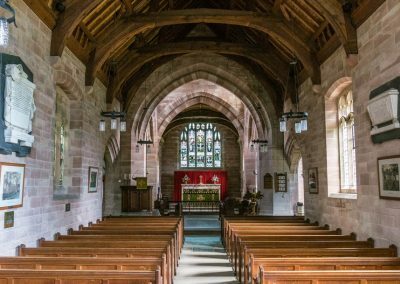 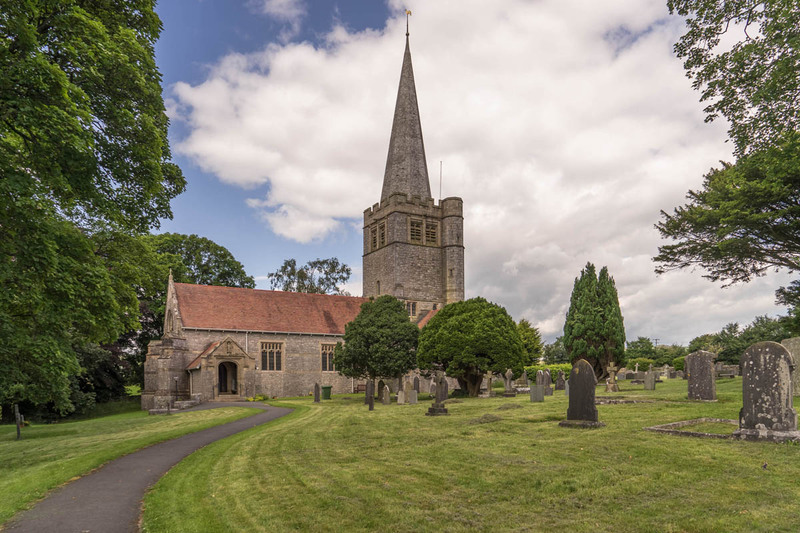 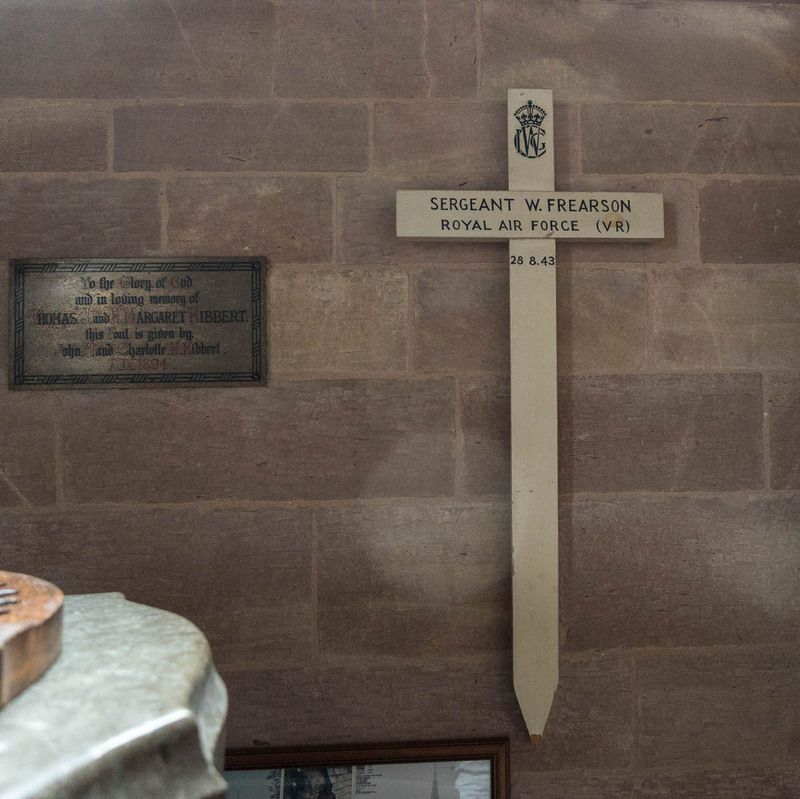 Condition (cracked, paint peeling, woodwork, damage etc): There are a few small stains on the cross, and a tiny amount of deterioration at the bottom, otherwise it is in very good condition. 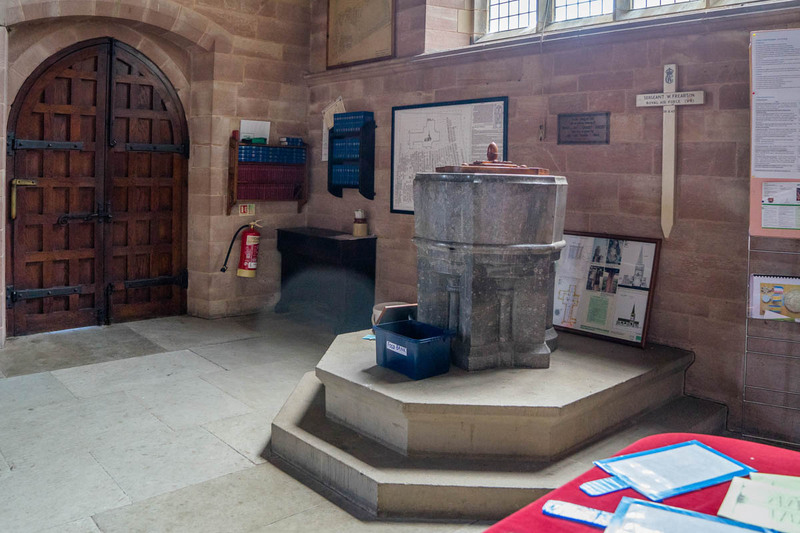 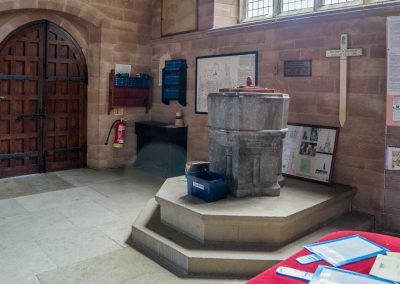 The cross is displayed on the wall at the back of the church near the font. 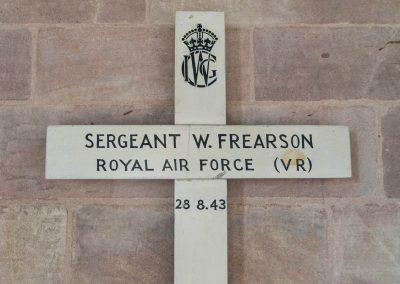 It is a Second World War cross. 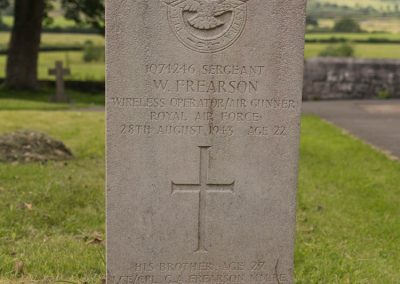 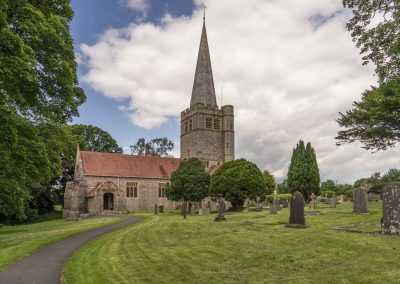 William Frearson (1074246) was the son of George & Dorothea Frearson of Newton-Carmel. 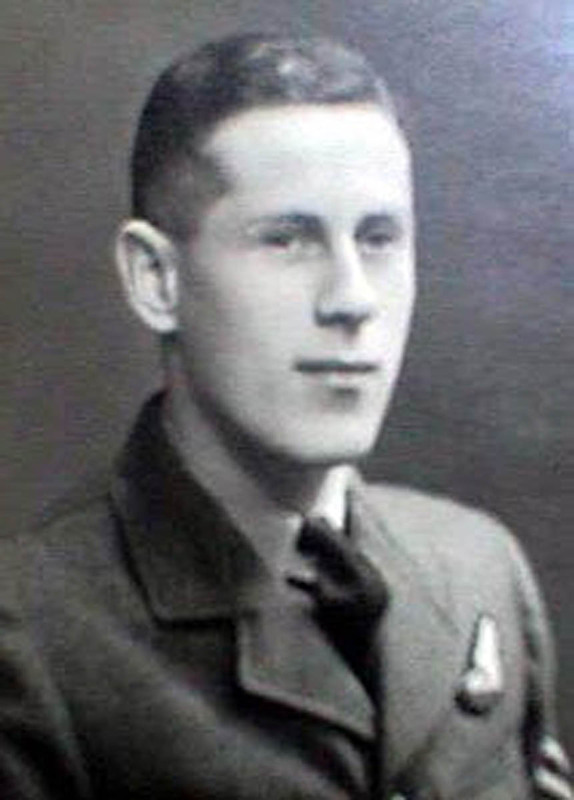 He was a wireless operator and air gunner in the RAF. 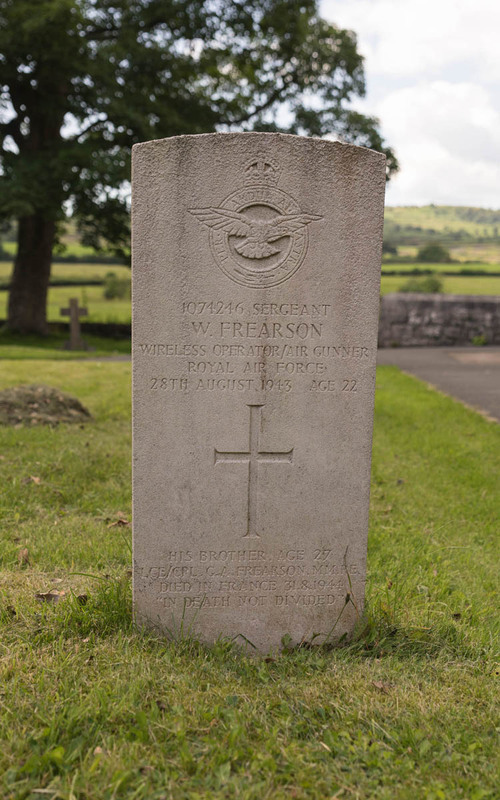 He was killed in action on 28th August 1943 aged 22 and his headstone is also in the cemetery at Field Broughton. 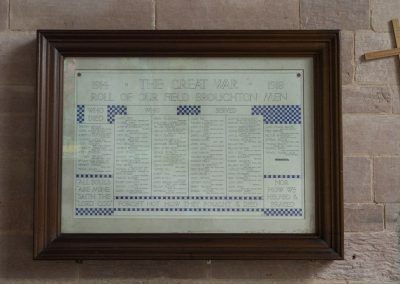 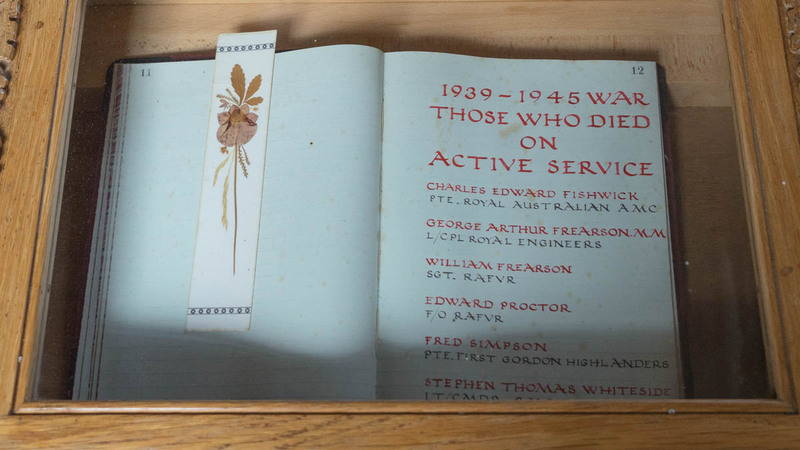 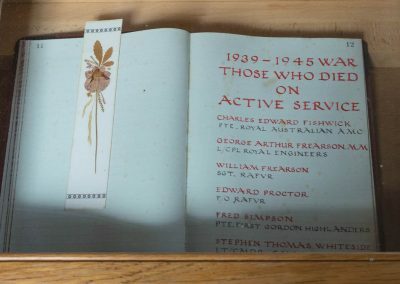 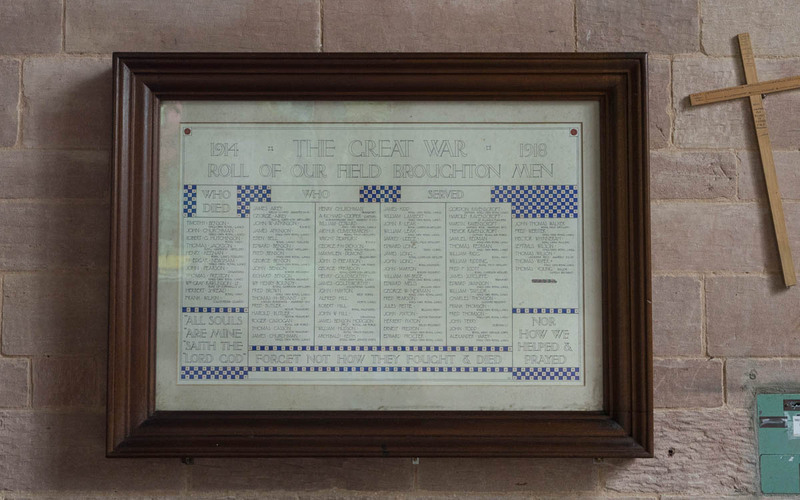 Sadly his brother Lance Corporal George Arthur Frearson M.M also died on active service.